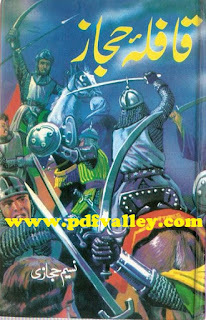 You can download Qafla e Hijaz ( Urdu قافلہ حجاز) (English: The Caravan of Hijaz) by Naseem Hijazi free in pdf format. Sharif Hussain, who used the pseudonym Nasīm Hijāzī, was an Urdu writer. He was born in an Arain family in the village of Sujaanpur near the town of Dhariwal, in the Gurdaspur district of Punjab.